Package Format: 8.5 fl oz. 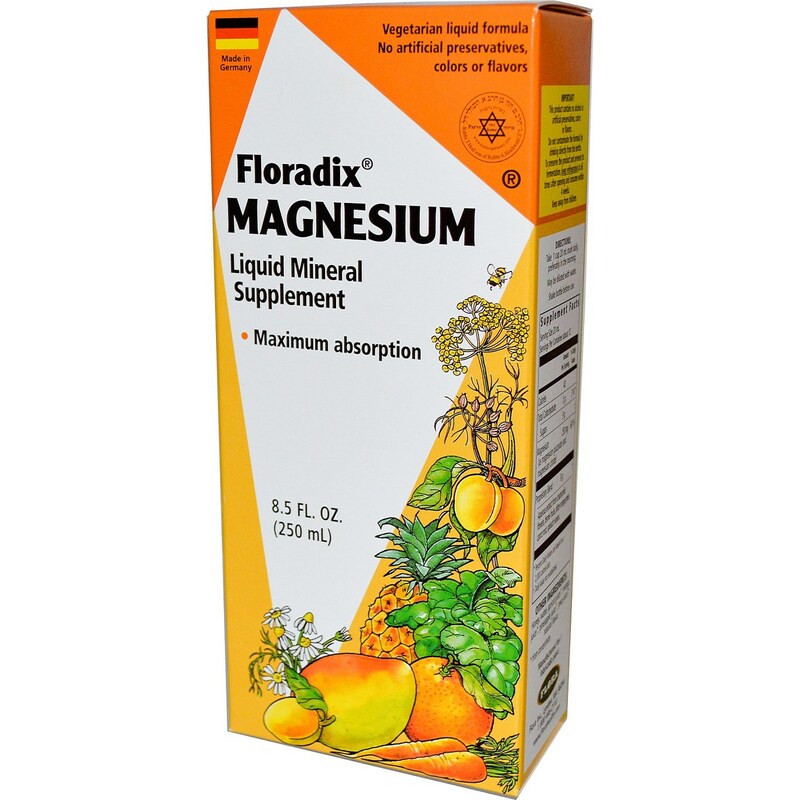 A delicious magnesium concentrate with 250mg magnesium per 1 measuring capful (20ml). Notes: One capful (20ml) provides 83% of the USA R.D.A. of Magnesium. Keep away from children. Shake before use. Suitable for vegetarians. 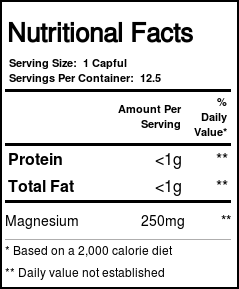 Recommended Use: As a food supplement, take 1 measureing capful daily before a meal. Store in a cool dark place; After opening it should be refrigerated and used within 3 weeks. The customer reviews posted below are based on individual consumer experiences and may NOT necessarily represent what expected results will be from using or taking Flora Floradix Magnesium Liquid Mineral Supplement - 8.5 fl oz.. These results may not be typical and you should not necessarily expect to receive the same results. Actual results may vary. The flavor is excellent! Such a nice change from most chalky mineral supplements. I wish the dose was higher and that the cost was lower though. It is pretty costly for the amount of mag you get. 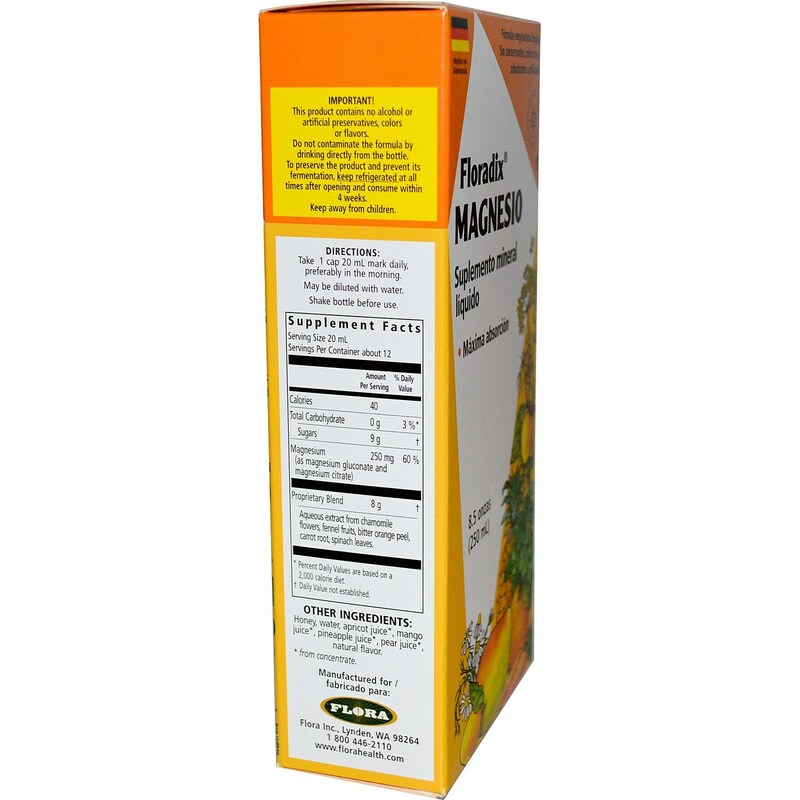 The supplement is very easy to use and mixes well with juices. I do wish the flavor wasn't so strong so it would blend into the beverage a little better (the supplement is given to a 5 year old who is very hesitant to drink his juice because it doesn't taste quite right). Excellent! Tastes great! I never have to worry about constipation again!!!!! I'm taking this supplement to increase my calcium absorption and hope that my next scheduled bone density test will improve.